Took these pics a few weeks ago after work. Last edited by aHighSlapshot; 08-07-2017 at 07:58 PM. 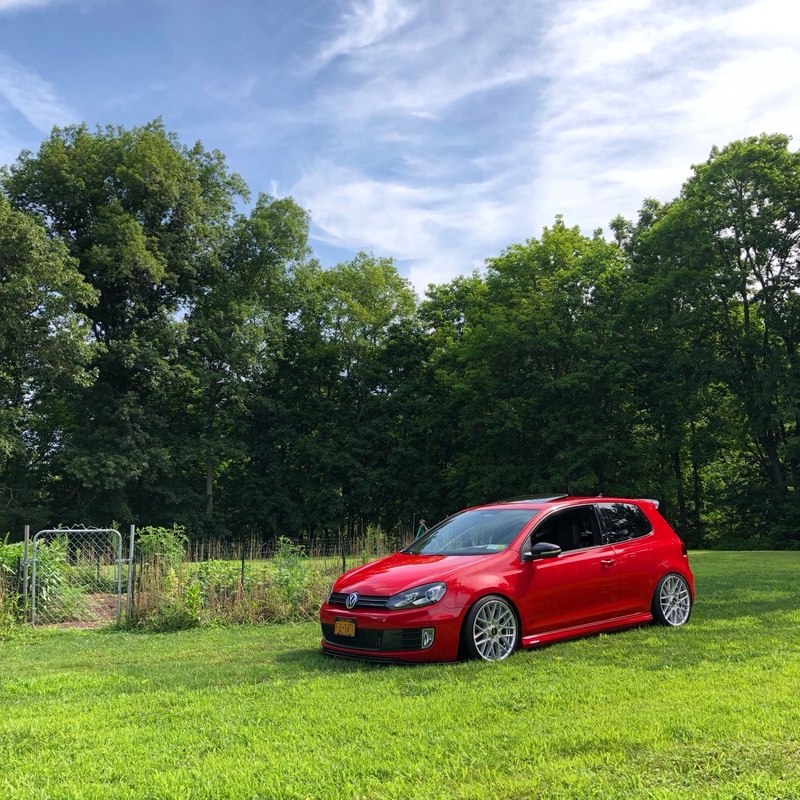 Kinda fell off the "car life" for the whole summer due to persuing other hobbies. 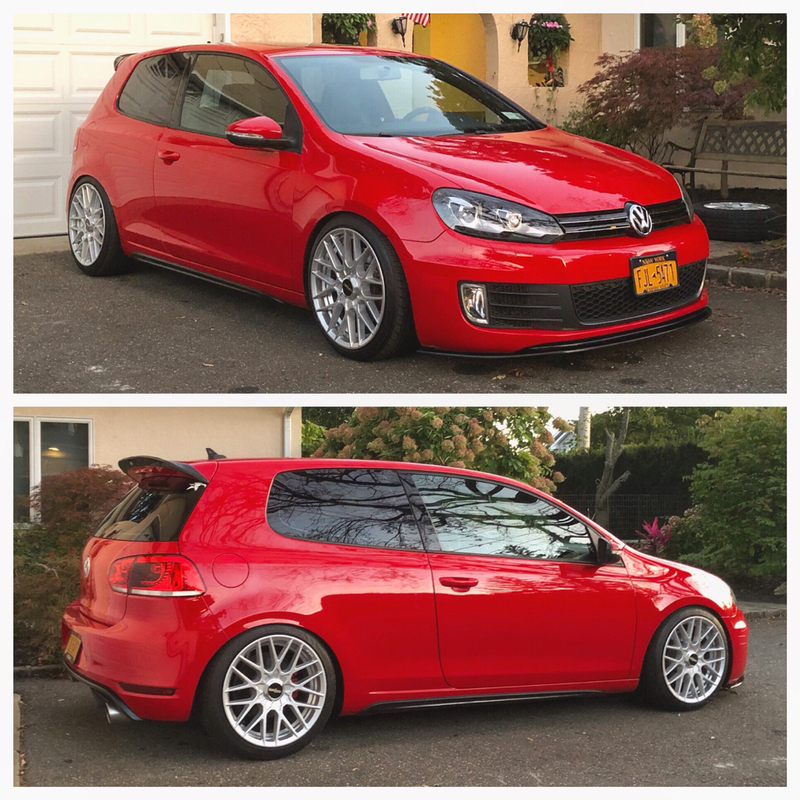 Tho I did sell my staggered rotis cause they sucked and got myself a new set, much nicer to drive on. 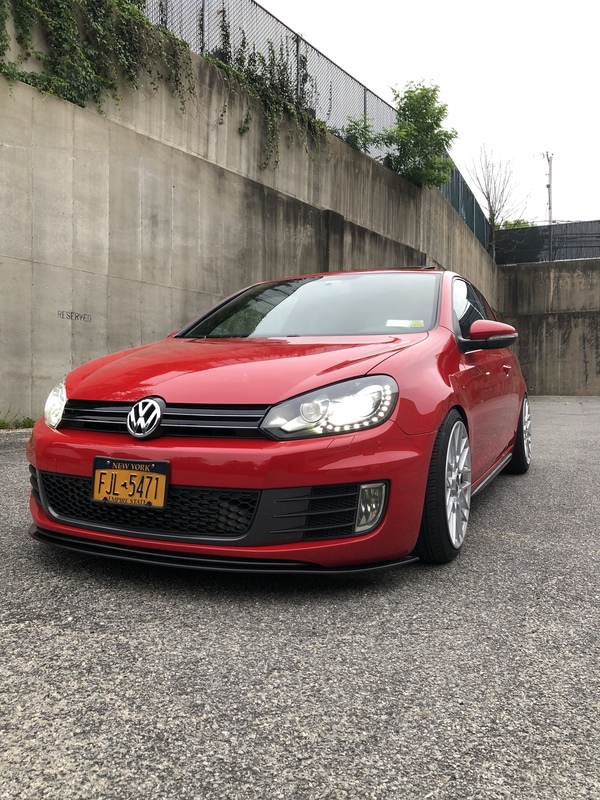 Needs alignment and also getting some other exterior mods soon. Looking forward to getting back into it. 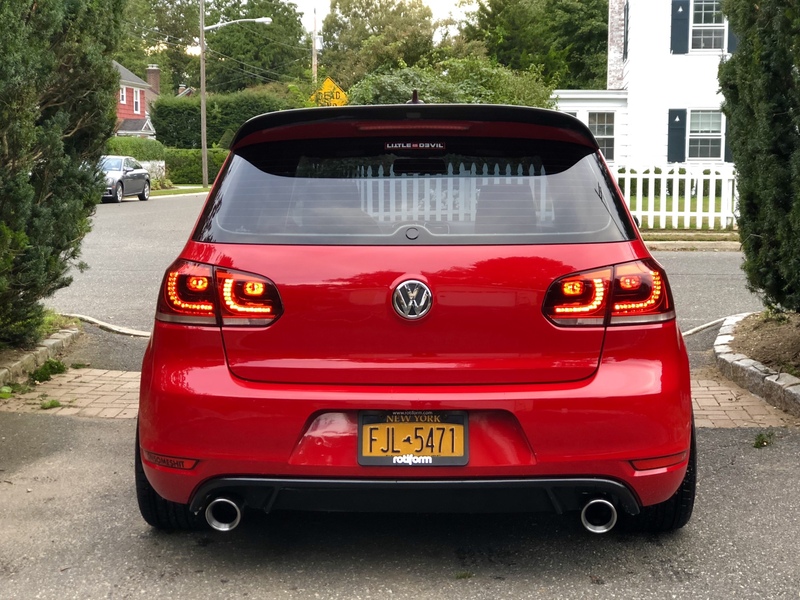 Installed the Depo tails a bit ago, then sent her to get a tint. 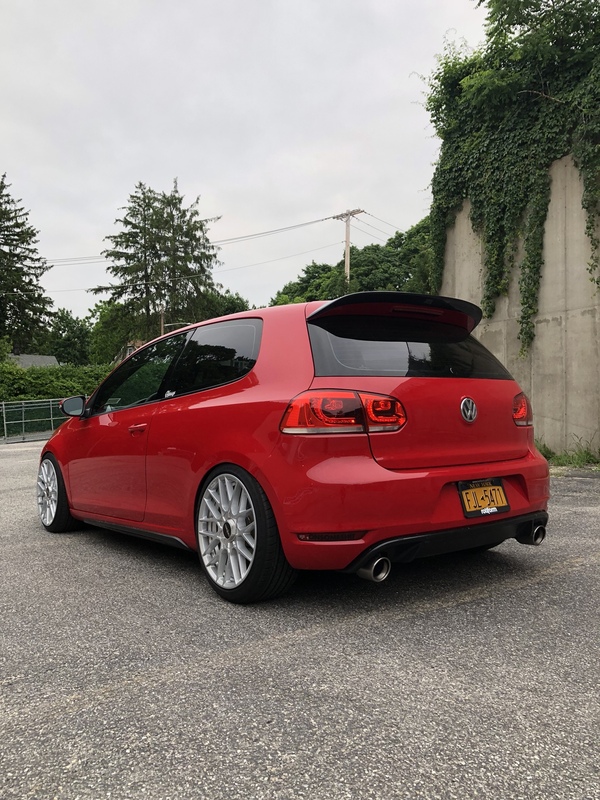 Need to update my pictures,but the next mod will probably be an exhaust. 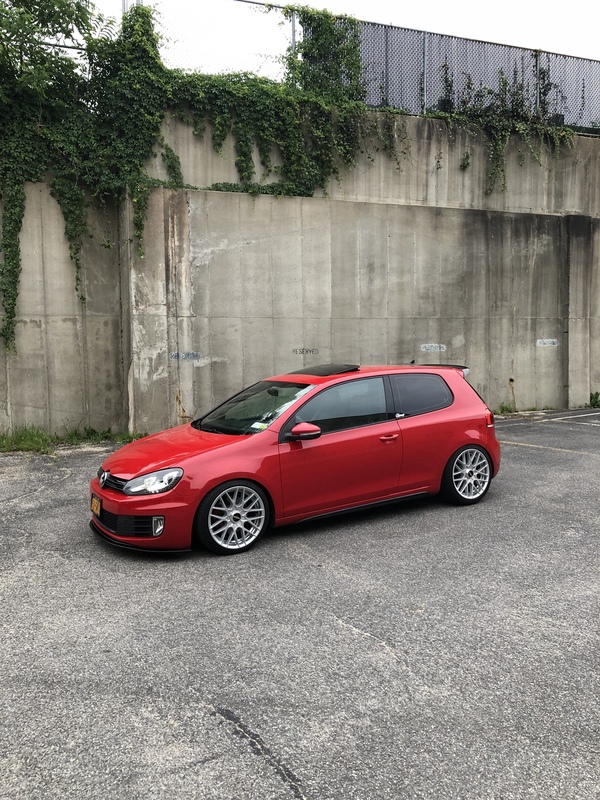 Not much exterior stuff has changed but I did install a FMIC and K04. I've meant to do this for so long and never did, so here goes. 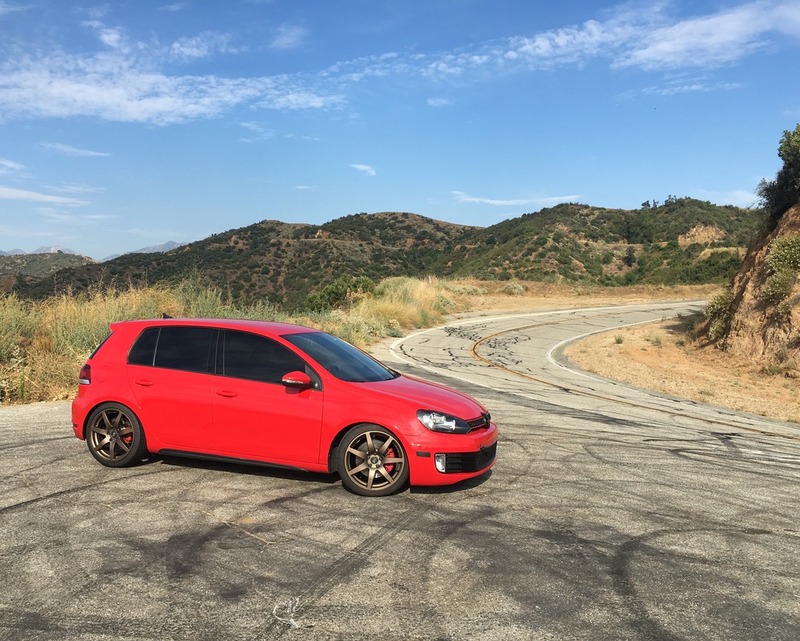 I drive a 2010 Tornado Red Golf GTI 3dr for 6 years. 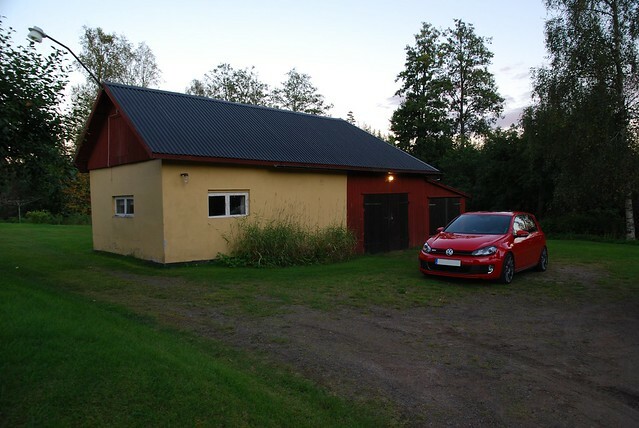 Originally bought it with only 36K Kilometres on the clock and now have 136K Kilometres. 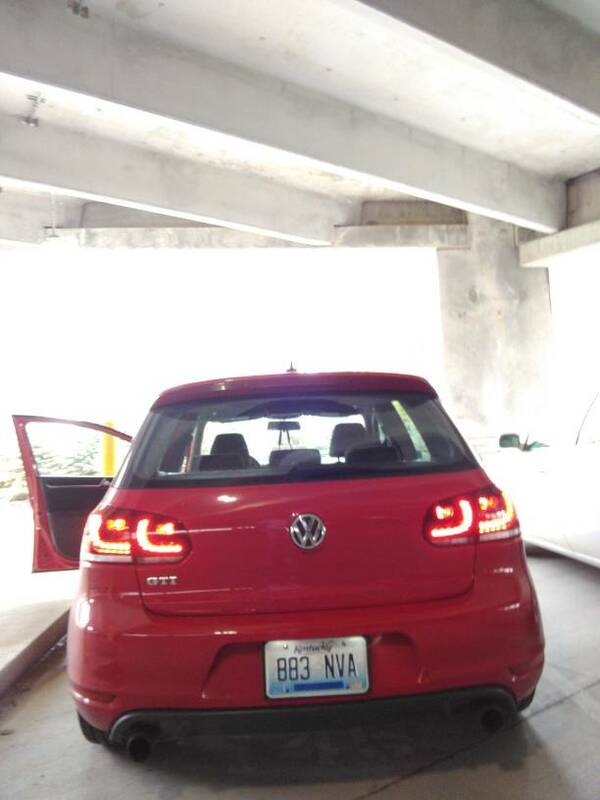 It's a late 2010 'B' spec, so 2011 spec model with the rear LEDs as standard. 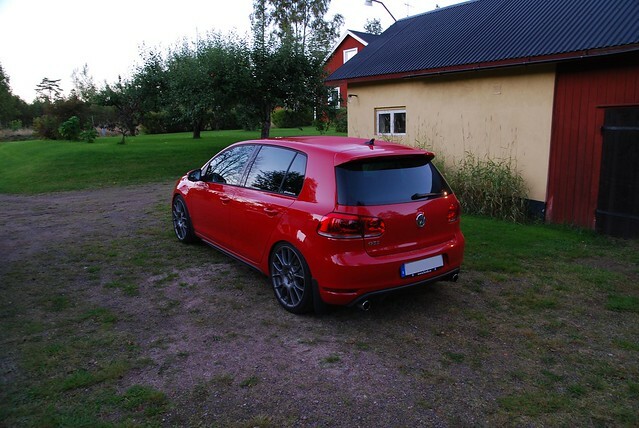 Engine is the CCZB 210 bhp version. 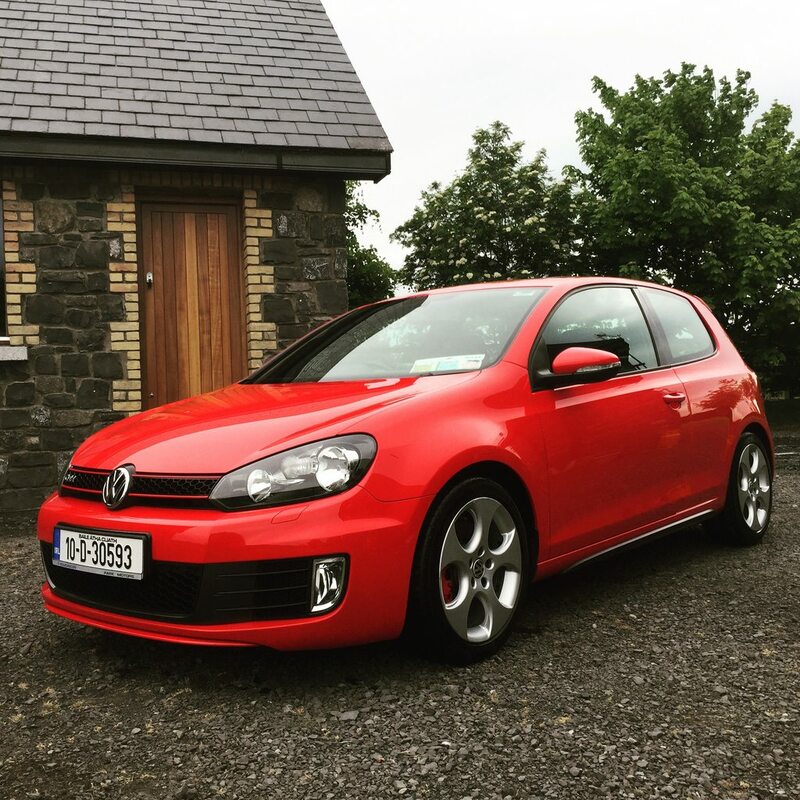 Car is totally stock and I have had 6 years of trouble free motoring. Obviously, recently learned about the timing chain tensioner risks so that is top of my priorities. The chain stretch is only around 2 degrees so will hold off on complete chain replacement for now. No issues with carbon but I will give it a look later in the year. I do plan on changing the clutch as the throw out bearing is starting to squeak on cold usage. 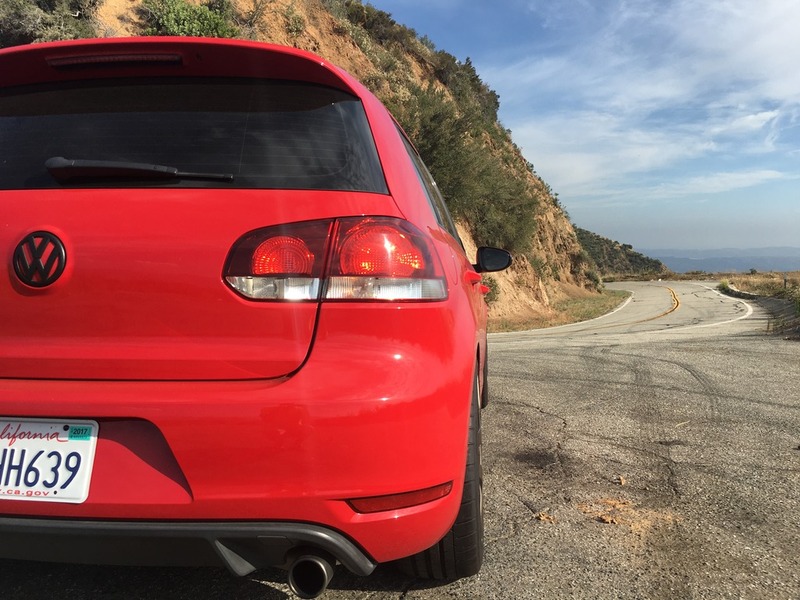 Car gets serviced by VW every 15K Kilometres. I do all the other work myself. front discs and pads etc. After the Timing Chain Tensioner and Clutch are sorted I will powder coat the alloys as they are showing their age. A couple of evening shots..
Hey what rims are those, they look really good. 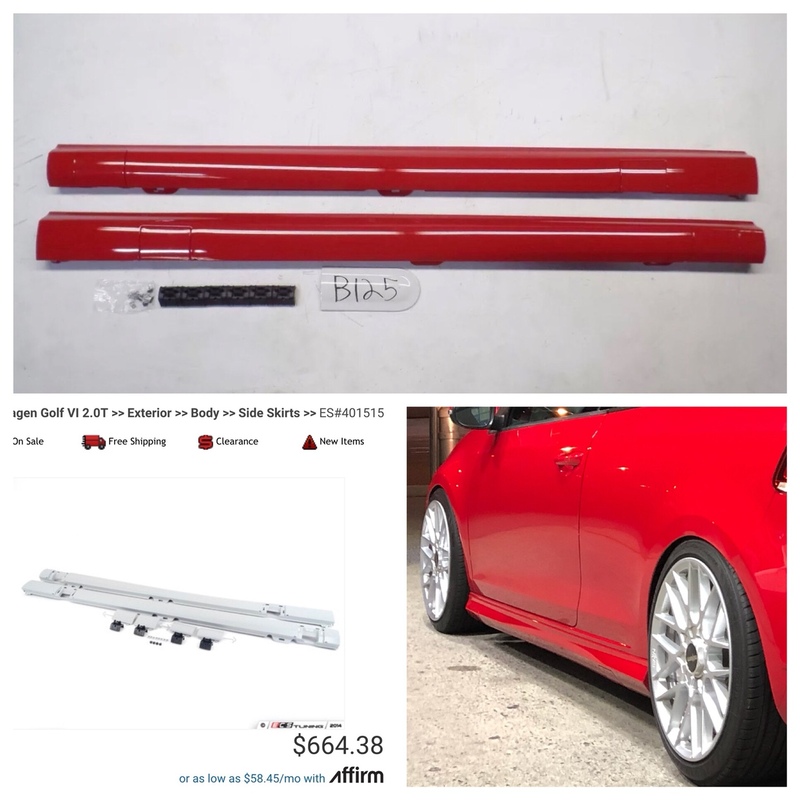 Got these sideskirts for sale. PM me. They were BBS CK's. 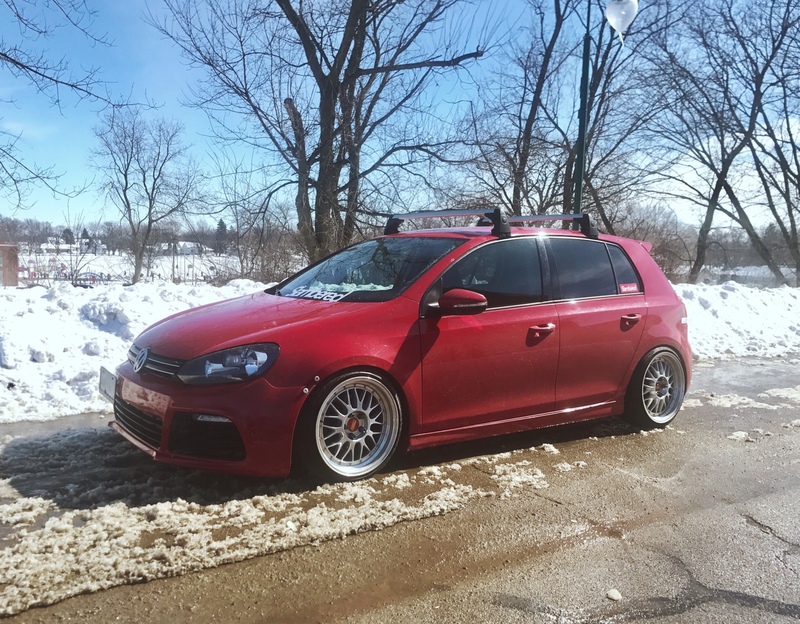 19x8, et44. 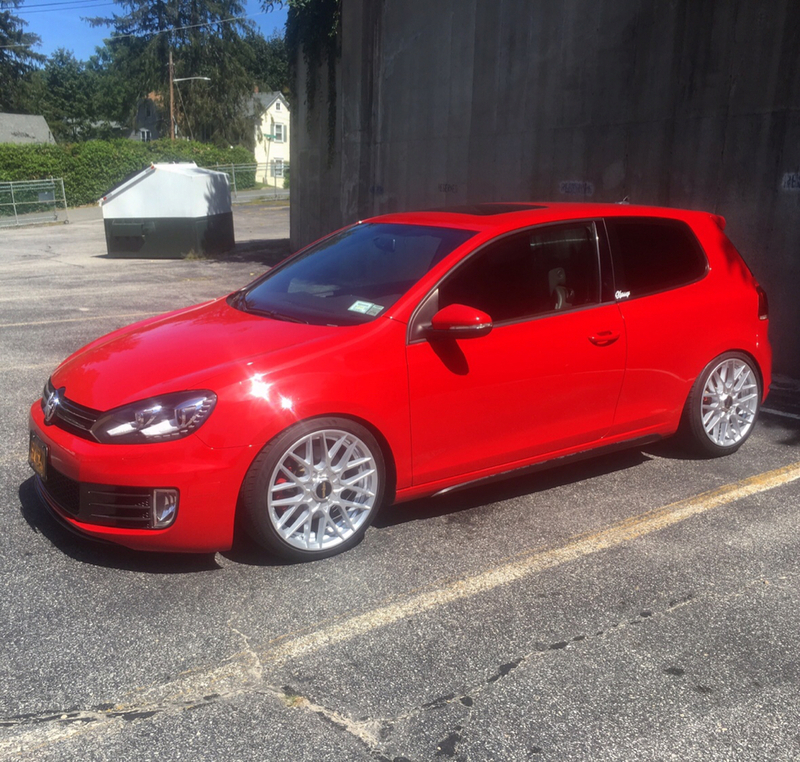 I got new wheels again, BBS CH-R, 19x8,5 et45, and airlift with v2.
.:GTI 2010 - type 1 1973:.